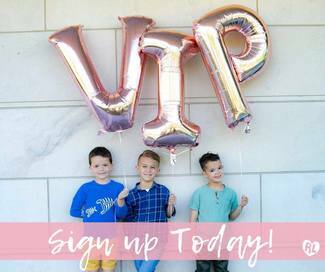 Rhea Lana's of Germantown and Collierville: Spring 2019 V.I.P Registration! Thank you so much for your interest in our VIP consignor program. We would love to help you in selling your gently used children’s items, but there area few guidelines. Please take a moment to review. If this all sounds good to you, then just pick a drop off date/time that works best for your schedule and one of our fantastic processors will come and grab your gently used items. Again, thank you so very much for your interest! VIP consignors get 50% of their sales. VIP consignors pay the $10 consignor fee that helps us with overhead and expenses along with a $10 Storage Fee. We don’t ask for it upfront, we’ll take it out of your check at the end of the event. You will get a consignor pass to shop at our Pre-Sale which will be announced when we get closer to the event. We will pick up your items, tag and price them. We’ll also deliver them to the sale. All clothes need to be Spring/Summer for this event. They need to be clean and odor free. If they have been in long term storage, please go through them and make sure they are current (we suggest 3-5 years) and clean. We can pick up things in boxes or trash bags and they must be on hangers. The items need to be hung on hangers and sorted. It’s too much work to pick up a trash bag of old clothing that hasn’t been looked at and will all need to be laundered. If we arrive and items have clearly not been sorted and laundered, we will not be able to take the items. Please do not give us any containers that you would like returned. All of your items will be sold at full price the first few days of the event. They will then go 50% off for half price days. We are going to price things so you will make the most money possible. We price to ensure your items sell, but that they sell for a great price. Allowing your items to go on sale is mandatory. We’ll need to know if you want to donate your unsold items or if you will be picking them up at the end of the event. Pick up day will be announced soon and we will make sure to send you an email with all the details. Please only include your 50 best infant items in size 0-12 months (an entire outfit is only considered 1 item as long as it can be sold together and is properly folded together so we know it’s an outfit). This size is a tough sell as Mom’s and Dad’s get so many infant items as gifts or handed down from friends. Please only include your 15 best Teen items in size 0-12. These items can be a tough sell, so please only pick your best! Please only include your 10 best Maternity items. Again, this can be a tough sell as Mom’s don’t buy a lot of maternity items as they will only be worn a short time. Maternity clothing-in style and in good condition (Limit of 10 pieces total.) Bring your BEST. Stuffed Animals (Unless they are Build-a-Bear or have batteries and activity associated). Baby equipment that is not clean. Once we pick up your items, here is what you can expect. You will receive a Welcome letter from us when we pick up your items with your Consignor ID# and password before the event begins. This will give you directions on how to log into the system, how to see the prices we set and then during the event you will be able to see what sold! Your items will be entered into the system before the event begins. We go in order of when the items are picked up. You will receive a packet to shop prior to the event starting with your Pre-Sale pass to shop early with the Consignors. Please let us know if you have any questions. We are here to help in anyway we can! Have infant appliqued onesies, pillowcase dresses infant to 5 yrs, all new. I have a certificate for the VIP Consignor that I purchased at Dogwood’s DolphinFest. I will bring it with me.